FanDuel reversed its decision and ended up paying out a New Jersey bettor $82,610 on a winning bet placed during an in-game odds glitch. 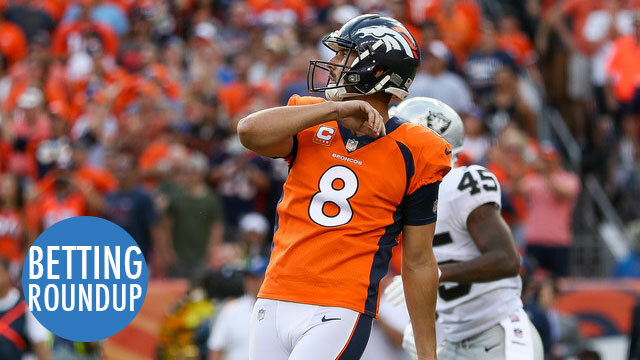 Before FanDuel changed its mind, Broncos kicker Brandon McManus tweeted that he thought FanDuel should pay out the $82,610. A congressional hearing on a federal framework for sports betting is set for next week. On Thursday, a House Judiciary subcommittee scheduled a hearing titled “An Examination of Sports Betting in America” for Sept. 27, in Washington, D.C.
A bill has been introduced in Washington D.C. to legalize and regulate sports betting. At first, D.C. would license sports facilities and bars for betting, but also eventually create a sports betting app, which Evans believes is crucial. A gambling addiction specialist said that legalizing sports betting could help protect gamblers.